Heya i am for the primary time here. I came across this board and I find It truly helpful and it helped me out a lot. I hope to provide one thing again and help others like you helped me. I absolutely love your website.. Very nice colors & theme. Did you develop this website yourself? Please reply back as I’m attempting to create my very own blog and want to learn where you got this from or just what the theme is named. Many thanks! I like the valuable information you provide in your articles. I will bookmark your blog and check once more here frequently. I’m relatively sure I’ll be informed many new stuff proper here! Best of luck for the next! 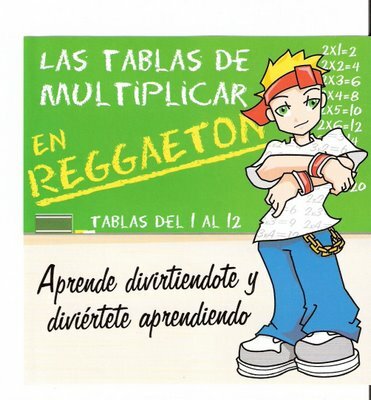 DONDE ESTA LA TABLA CON MUSIKA DEL REGETON EL LINK PARA DESCaRgar? mmm se me aprendere las ttablas kom estto??? wue si me funciona despues les digo!!!!!!!!!!!!!!!!!!!!!!!!!!!! Al igual que tú, no comparto el gusto por este estilo de música. Sin embargo tengo que motivar a mi sobrino.